letter blocks say what? : the moon. When he first texted a picture of it to me, I thought he was showing me a photograph of the moon he took the night before. 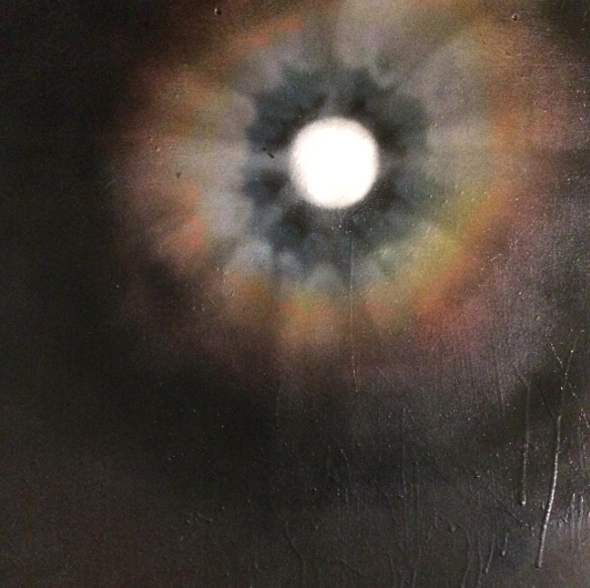 It is that mesmerizing, which is truly amazing for a aerosol painting!